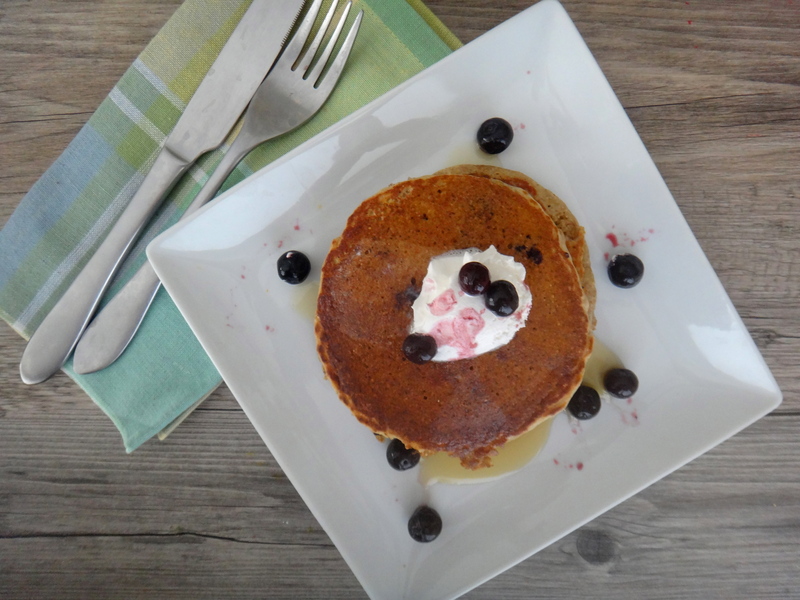 These pancakes taste like a glorious Meyer Lemon Cake. But made without the loads of butter and sugar those cakes call for. 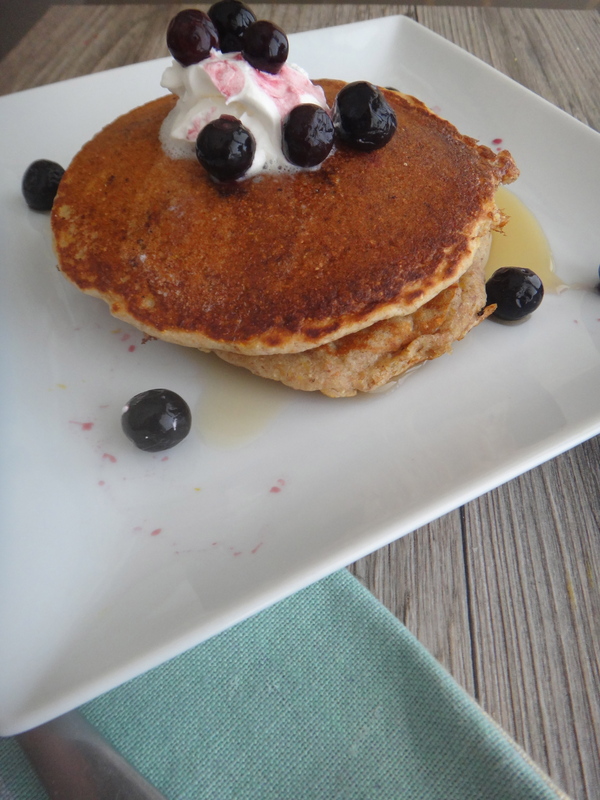 When topped with syrup, they create a harmonious mixture of flavors. In each bite you get the sweet bursts of blueberries and the taste of fresh citrus. These 2 ingredients seem to so appropriate for Spring recipes and would make a great Easter Sunday meal! 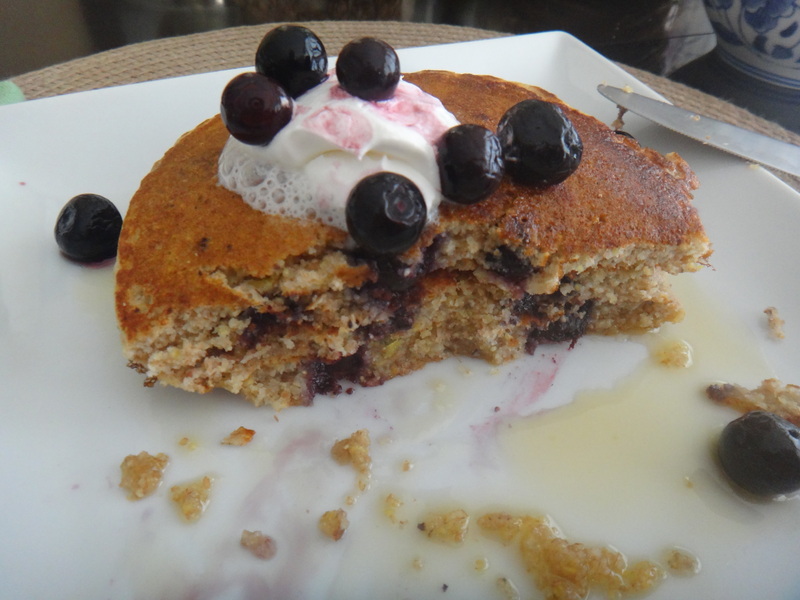 Plus these pancakes are made with whole grains, antioxidant rich berries and provide a nice vitamin C boost from the lemons. 1. 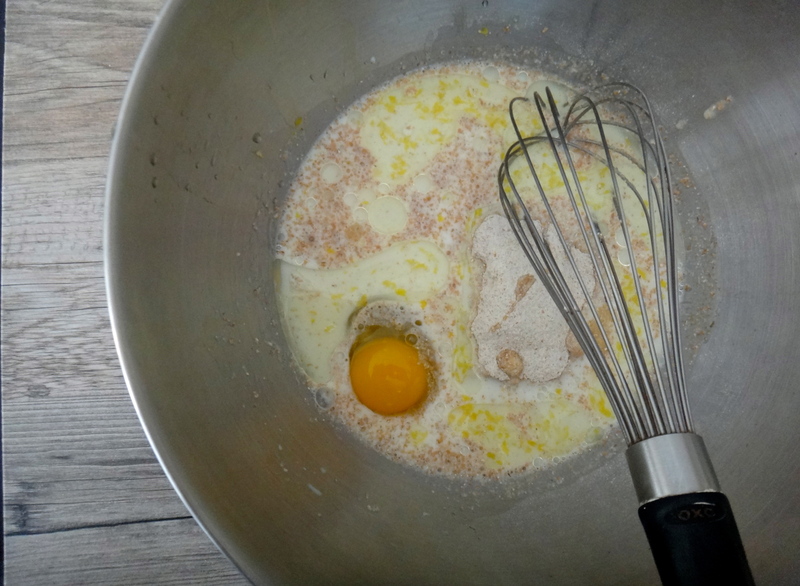 Mix all of the ingredients except the berries in a large mixing bowl. 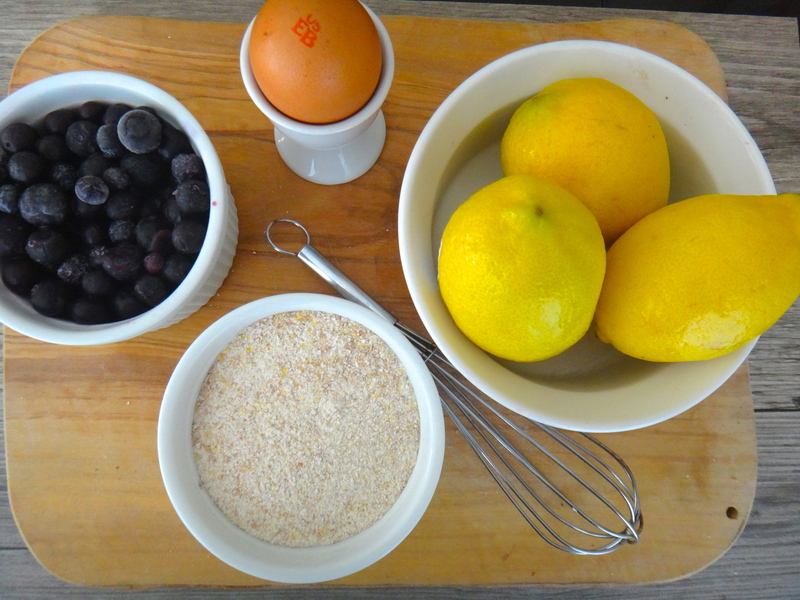 Once the mixture is uniform, incorporate the blueberries. 2. 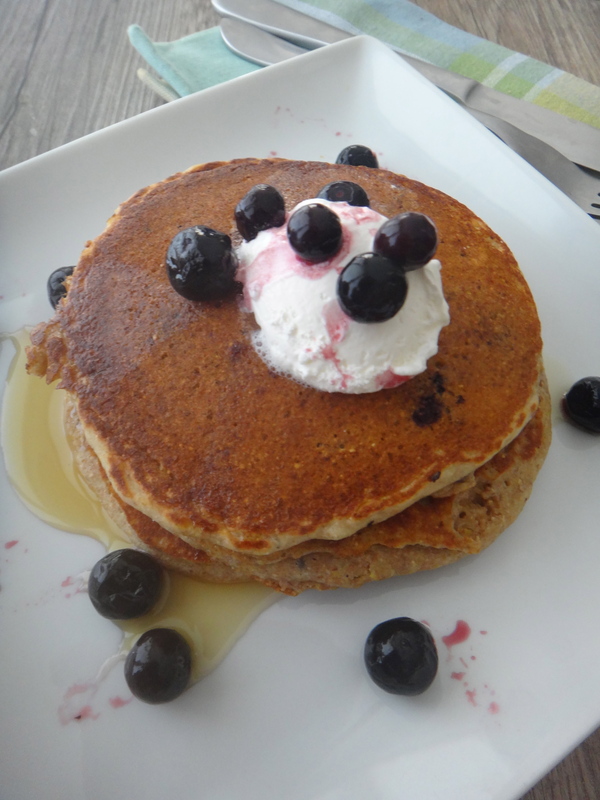 Cook the pancakes in batches until golden brown. Use more vegetable oil, or a bit of butter to cook them on a non-stick skillet. 3. 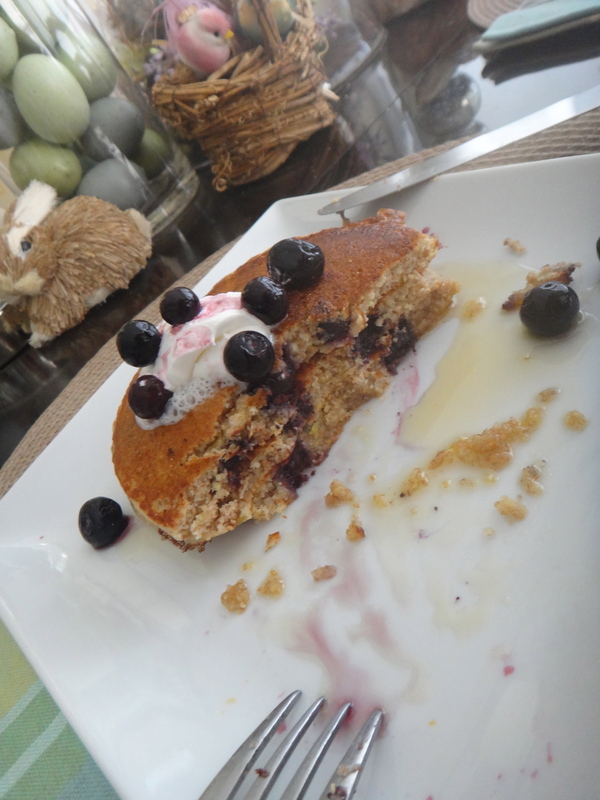 TOP with: fresh blueberries, maple syrup, reduced fat cool whip or non fat greek yogurt. 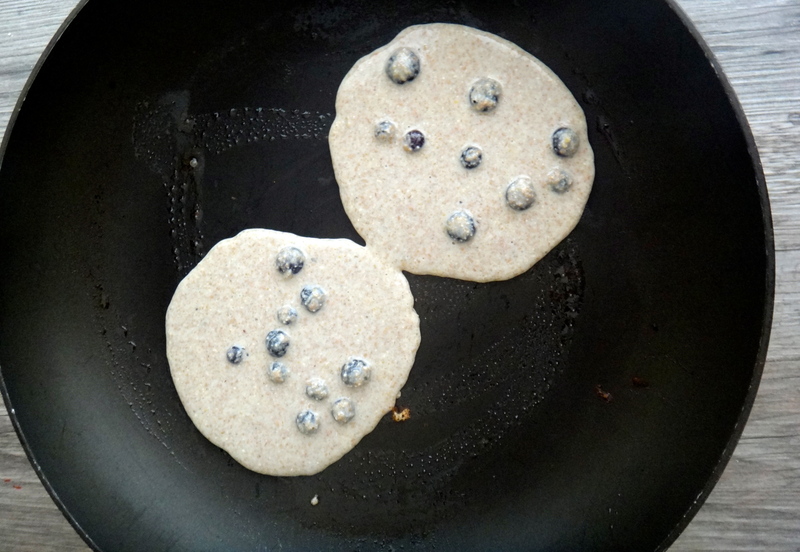 are you hungry for pancakes? Happy Easter! Best pancakes ive ever had.